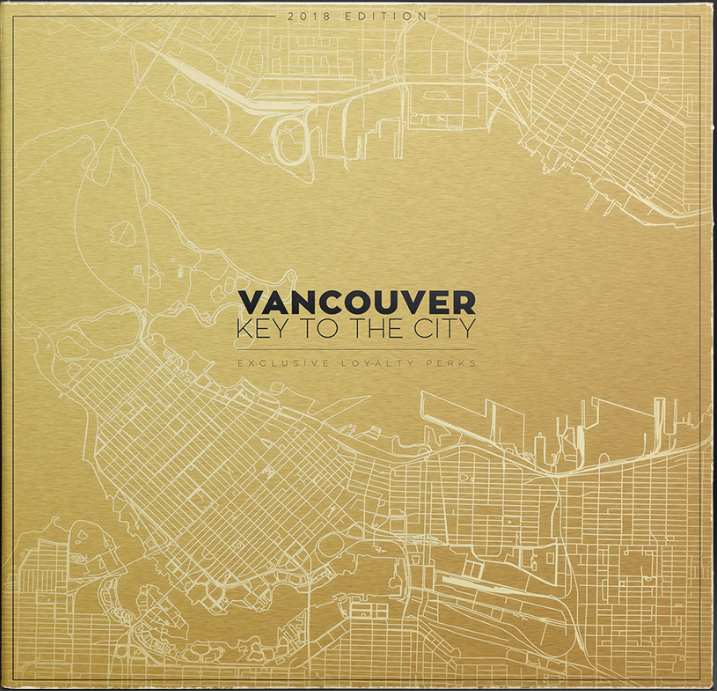 *** 2018 VANCOUVER KEYS NOW SOLD OUT. 2019 KEY PRE-ORDERS BEGIN AUGUST 13. DELIVERY EARLY DECEMBER 2018. We made just 3,000 Keys in 2018 and we are now officially SOLD OUT. 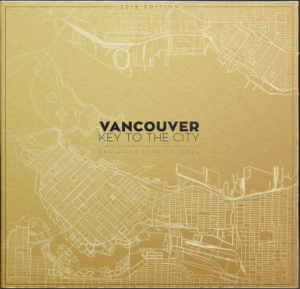 In 2019, we will make a limited number of Keys, again, so you will want to make sure you pre-order yours starting August 13th. Welcome to the 3,000 Keyholders we welcomed into our Keyholder family in 2018. 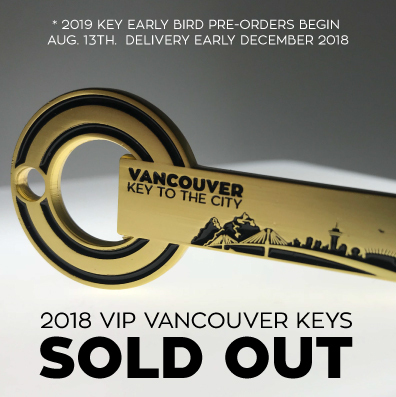 Sorry you didn’t get yours on-time this year, but you can save with early bird rates for the 2019 Vancouver Keys starting August 13th and they deliver early December 2018. Looking to receive this beautiful key and use it. Born and raised in Vancouver. Love the key so far, wished it had more nightclubs: (Venue, Celebrities (not active anymore), fortune soundclub. Events: Fashion Shows, Galas, Convention Centre Events, Autoshows, etc. Sometimes they give free tickets to shows which I really like (Art! Vancouver).